Q1: Study sources 1, 5 and 11. Use these images to describe your impression of these three men's personalities. A1: The answer to this question will depend on your own reaction to these paintings. Q2: Read the introduction and study sources 2, 3 and 4. Why did Hans Holbein decide to live and work in England? A2: Hans Holbein was a Roman Catholic who specialized in religious paintings. The growth in support for the teaching of Martin Luther, who did not approve of highly decorated churches, meant that he found it difficult to find work. Holbein's friend, Desiderius Erasmus, suggested he moved to England. He sent a letter to Thomas More asking him to help Holbein. "Here (in Basel, Switzerland) the arts are freezing, so Holbein is on the way to England to pick up some coins there" (source 2). According to a letter from More sent on 18th December, 1526, Holbein did not find it "as fertile" as he hoped (source 3) and in 1528 he returned to Switzerland. In 1529 Basel officially became a Protestant city. Hans Holbein's paintings on display in churches were sometimes destroyed. Without commissions to paint religious subjects he found it difficult to continue as an artist. His last work in Basel was the painting of a clock face on 7th October 1531 (source 4). In 1532 he was back in London. Q3. Waldermar Januszczak was educated in a Catholic School. Read source 6 and explain how this might have influenced his view of Sir Thomas More. Read source 16 and explain how this might have influenced his view of Thomas Cromwell. How does he use Hans Holbein's portraits of More (source 5) and Cromwell (source 11) to support his opinion of these two men? A3. Januszczak points out that "he grew up believing that More was a man of principle" and that "is why the Catholic Church made him a saint in 1535" (source 6). Januszczak complains that in "today's histories he (More) is often presented as a demented religious bigot" and as "a cruel slayer of heretics". He blames "modern novelists and playwrights" for promoting this viewpoint. Januszczak claims that his school provided a very negative picture of Thomas Cromwell: "When I was at school Cromwell was portrayed by everyone as a terrible man. Henry VIII's enforcer, the destroyer of the monasteries, in recent years there has been a big reassessment and the modern image of him, the one you find of him in books, plays, as a decent and brilliant man, trapped in a difficult situation" (source 12). Januszczak goes on to state that he rejects this reassessment of Cromwell: "These days we are encouraged to see Cromwell as a good guy, but in this film I am not going to do that... Holbein's portrait of him (Cromwell).... Just look at him. He has a hard and charmless presence. Those piggy eyes, that blank expression, Cromwell is surely the least attractive sitter in the whole of Holbein's art." Januszczak believes that Holbein's opinions on More and Cromwell are correct: "Holbein was actually there, who happened to be the greatest portrait painter of his time" (source 12). Q4: The portraits of Sir Thomas More (source 5) and Thomas Cromwell (source 11) are housed in the Frick Art Museum in New York City. Read source 7 and explain if Joan Acocella's opinion of these two paintings are similar to those expressed in your answer to question 1. A4: Joan Acocella suggests that "Holbein’s portrait shows him (Thomas More) "thin and sensitive" whereas Thomas Cromwell is portrayed as "hard and heavy" and his "mean little eyes peer forward, as if he were deciding whom to pillory, whom to send to the Tower". Q5: Read source 8. What does the novelist, Hilary Mantel, mean by her comment: "Holbein’s portrait is both the source of their characterisation, and a reinforcement of it." A5: In her novel, Wolf Hall, Hilary Mantel has Thomas Cromwell commenting that Hans Holbein's painting has made him look like a "murderer". Mantel argues in the article that Holbein's painting has played an important role in influencing our view of Cromwell. "It is as a murderer that Cromwell has come down to posterity: as the man who tricked and slaughtered the saintly Thomas More, the man who ensnared and executed Henry’s second queen, Anne Boleyn; who turned monks out on to the roads, infiltrated spies into every corner of the land, and unleashed terror in the service of the state." Mantel believes that the portrait has also influenced "novelists and dramatists" and this is reflected in their work. 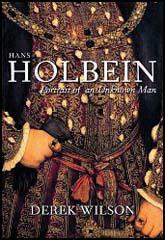 "Holbein’s portrait is both the source of their characterisation, and a reinforcement of it." Q6: Study sources 13, 15 and 17. Compare these paintings of Thomas Cromwell with the one painted by Hans Holbein (source 11). A6: Source 11 seems much more hostile to Thomas Cromwell than the other sources. Source 15 shows Cromwell as a younger man and the expression on his face indicates a friendly disposition. Sources 13 and 17 reveal a more serious man but do not make him look like a "murderer" (source 8). The main way that Holbein communicates his dislike of Cromwell is through "his mean little eyes" (source 7) and "piggy eyes" (source 12). The artists who produced sources 13 and 17 do not flatter Cromwell but their view of the sitter is much more complex than that is revealed in source 11. Q7: Read the comments you made about Richard Southwell in your answer to question 1. Does the information in sources 9 and 10 help to explain your original comments? A7: Helen Langdon argues that "as might be surmised from the somewhat cold and sinister expression on Southwell's face, he has come down to posterity as one of the most calculating and treacherous members of Henry VIII's court" (source 10). Stanford Lehmberg points out that "Southwell played a part in the fall of both Sir Thomas More and Thomas Cromwell" (source 9). Holbein was a close friend of More and was very upset when he was executed in July 1535. His hostility towards Southwell is revealed in the portrait that he painted in 1536. Q8: Do you think Hans Holbein's religious views influenced the art that he produced? It is worth reading about Hans Holbein, Thomas More, Thomas Cromwell and Richard Southwell before answering this question. Hans Holbein appears to have Thomas More's views on religion and this helps to explain one of the reasons he was hostile towards Cromwell. This intensified after Thomas More's execution in July 1535 and this is reflected in his painting of Richard Southwell in 1536. It has been argued that his portraits of Catholics such as More, Georg Gisze, Derich Born, Nicholas Kratzer, Jean de Dinteville and Georges de Selve, than those like Cromwell and Southwell, who were more willing to support religious reform.